We're a web consulting company based in Mullingar, Ireland. We specialise in creating beautiful websites, online shops and developing social media strategies for business. 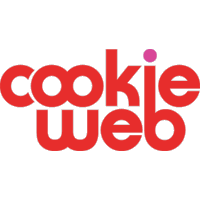 We love what we do and we'd love to have a chat with you about what you want to achieve online - please give Cookie Web a call on 086 0376 176 and talk to Orla. Job vacancies are posted here on MidlandJobs.ie. If we have no current vacancies, sign up for Job Alerts to hear about future opportunities as soon they're posted.